Artisan woven quality household linens, especially pure linen and half linen tea towels, runners, tablecloths, hand towels made in Italy by two known family companies Giaquinto and Pardi as well as a broad choice of genuine french antique tea towels in pure linen, half linen fabric to use in the kitchen or for many interior design projects. Selected by Maison Bleu Lin. 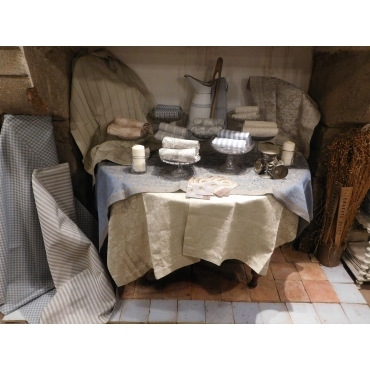 Artisan woven quality household linens There are 20 products.